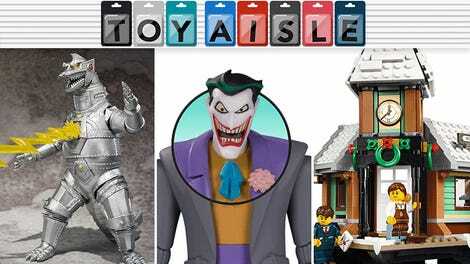 Welcome back to Toy Aisle, io9's collection of the coolest toys and merchandise we’ve seen this week. 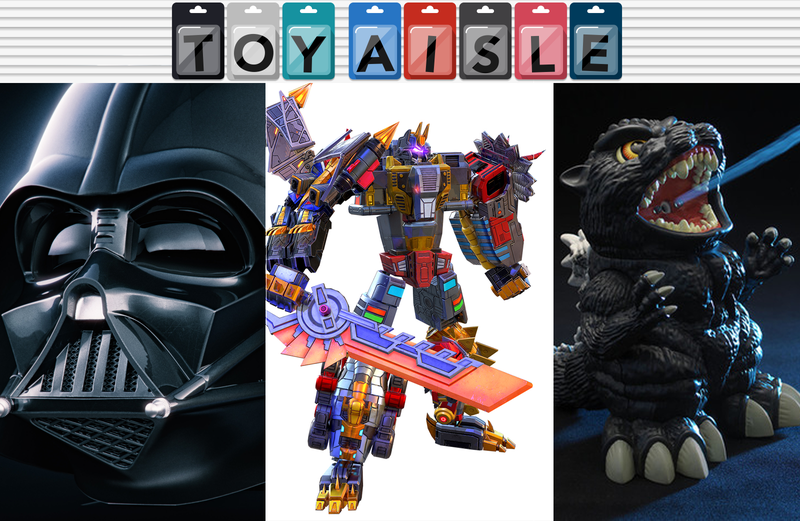 This time we’ve got some seriously cool Dinobots, some very weird Justice League cars, and an impressive (most impressive) recreation of Darth Vader’s iconic helmet. Check it out! Ask any child of the ’80s who the best Transformers character was, and they’ll usually either answer Optimus Prime or Megatron. But ask them who the second best was, and the answer will almost always be the Dinobot Grimlock. That’s why we’re incredibly excited to see that Hasbro is reviving a Dinobot line, with the addition of a new velociraptor bot called Slash, and that they now all transform and connect together to form the Dinobot Combiner character, Volcanicus. The Transformers: Generations Power of the Primes Deluxe Class Dinobots will be available this fall ranging from $10 for Slash, to $30 for Grimlock. What if, instead of flying or dashing at supersonic speeds, Superman and the Flash drove around Metropolis and Gotham in their own self-branded vehicles like Batman does? That question continues to be answered by Hot Wheels’ character cars series with the addition of new rides for Batman, Wonder Woman, Superman, The Flash, Aquaman, and Cyborg. We’re pretty enamored with the transparent wheels and undercarriage on Aquaman’s new whip. All of these vehicles should be available now for about $4 each. After giving us Poe Dameron’s helmet earlier this year, Habsro’s next high-end helmet replica is the most iconic one of all: Darth Vader’s. Releasing sometime next year, the full-scale replica is based on Vader’s mask as it appears in Return of the Jedi. Featuring sounds to recreate Vader’s breathing and the sounds of the helmet being sealed up, the mask can actually separate into three pieces—the upper helmet, the mask itself, and the lower “jaw” section—connected together by magnets.